Engadget spied a certain strange typo in the iPhone 3.0 development kit. Apple, who we know doesn’t yet want video capabilities on the iPhone, forgot about that for a second and looks to have a screen to upload video to your MobileMe account. Perhaps this is the reason that Apple hasn’t allowed the awesome Qik application to get accepted on the iPhone. 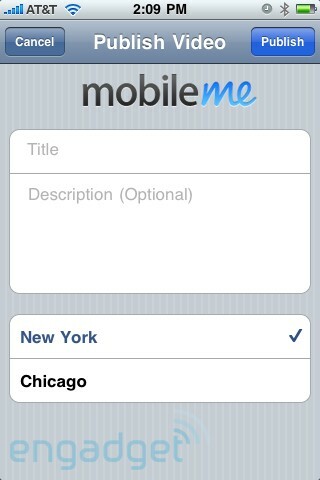 Will Apple let third party video applications like Qik on the iPhone or will this be another MobileMe-only feature? We hope the former.